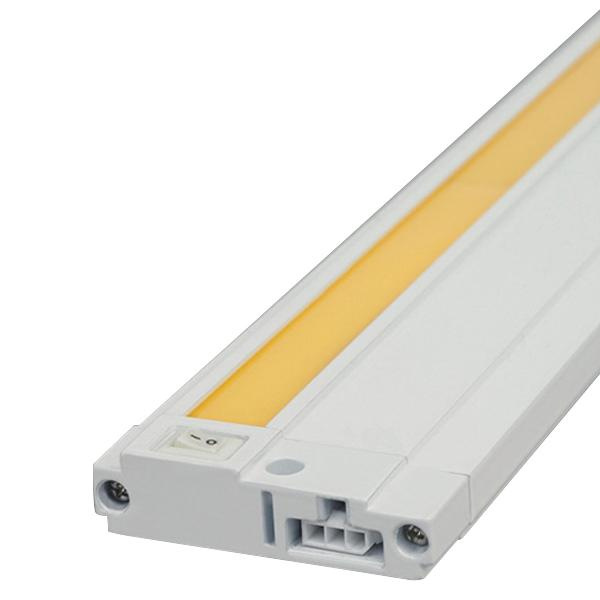 Tech Lighting Unilume LED Slimline Collection 30.2-Inch Long slim undercabinet lightbar in white finish, uses 18-Watt LED lamp that has voltage rating of 120-Volts. Lamp has color temperature rating of 2700K and more than 90 color rendering index to ensure optimal light level in the surrounding. This lightbar measures 30-Inch x 2.8-Inch x 0.7-Inch. The ELV dimmer offers 15% of dimming of the light. It is ideal for undercabinet and task applications where a 120-Volt input is desirable. Lightbar is cUL ETL Intertek listed and CM marked.